At a time when everyone is looking to cut costs, it is important not be surprised by additional costs. One of our newest pages at All-Inclusive Caribbean Cruises identifies some possible additional costs on board your cruise ship. Click here to read all about them. 1. Carnival Cruise Lines offers cruise excursions price guarantee. Per Carnival Cruise Lines, if you can find a lower price for a shore excursion booked with them before or during your cruise, they will offer you 110% of the difference in price as onboard credit. The credit is usually processed between 24 - 48 hours. That is great news for Carnival passengers! 2. 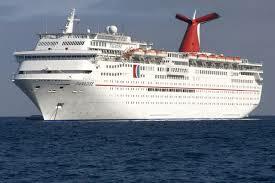 Carnival Cruise Lines returns to Norfolk, Virginia in 2015. 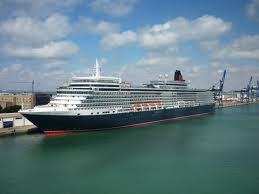 Great news for those who live near the cruise port in Norfolk - Carnival will return there in 2015. You might have heard that Carnival pulled its only ship, Carnival Glory, from there this year, due to the increased cost of some environmental compliance requirements. The cruise line is equipping its ships to meet these requirements and will be adding spring and fall sailings from Norfolk next year. Carnival is yet to say which ship will offer such sailings. Stay tuned. A group cruise is comprised of at least 8 cabins with 2 or more passengers. We are excited to invite you to join us on a group cruise to Ocho Rios, Jamaica and Grand Cayman, Cayman Islands this October. Deposits are only $25/person for couples and are due by March 10th. Final fares start at $413/person. <>Tip: Save on Shore Excursions - In light of Carnival Cruise Lines' new shore excursions price guarantee offer, let's talk about how to save on shore excursions. 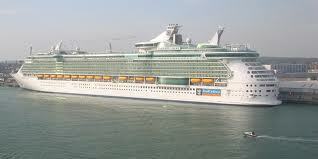 The simple way to save here is to check for third parties offering shore excursions in the ports you'll visit. If you book with online travel stores like CruiseDirect or Expedia, they will offer you shore excursions. Compare the prices with what your Travel Agent may find for you from the cruise line. You can save, if you shop around for shore excursions. Caution: Take every step to ensure that you are buying shore excursions from a reputable operator. March is a great time to cruise. It is just before the spring break season when prices tend to rise. And, especially now when the winter has been so brutal, it is a great time to get away. 1. Carnival Paradise offers a 4-day itinerary from Tampa, Florida on March 13th to Cozumel starting at $309/person (double occupancy). 2. Celebrity Constellation offers a 5-day itinerary from Ft. Lauderdale on March 3rd to Cozumel and Key West starting at $299/person (double occupancy). 3. Disney Wonder has a 5-day sailing from Miami on March 2nd to Cozumel and Castaway Cay (private Bahamian island) starting at $751/person (double occupancy). 4. Ruby Princess offers a 5-day sailing from Ft. Lauderdale on March 1st. to Cozumel, Mexico and Grand Cayman starting at $359/person (double occupancy). 5. Royal Caribbean's Brilliance of the Seas has a 4-day itinerary from Tampa, Florida on March 6th to Cozumel starting at $404/person (double occupancy). The above offers are just a few of many. Check with your Travel Agent or let us help you.